Join us as we delve deep into the world of Art & Maths in this action -packed week of family friendly activities! Explore symmetry, tessellation and more and create and take home your own original artwork. 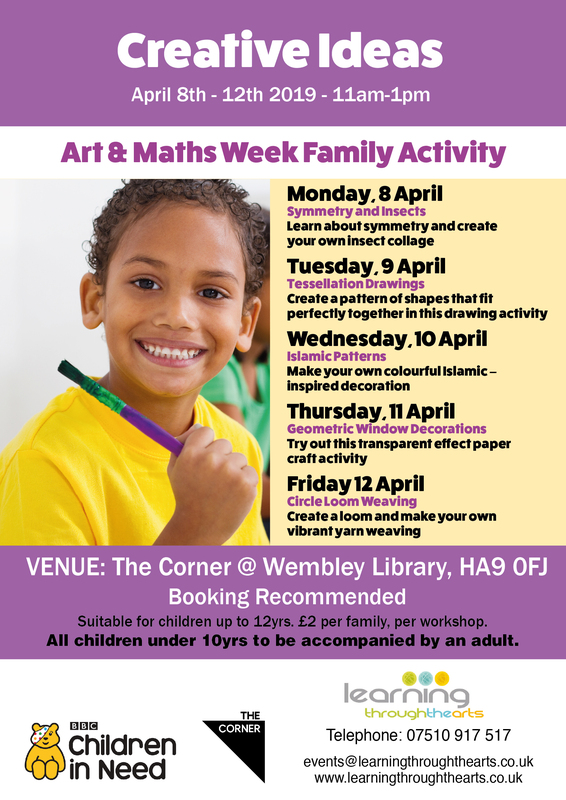 Monday 8th – Friday 12th April 2019 11-1pm at The Corner @ Wembley Library.